The Russian Central Election Commission (CEC) has refused to accredit 4,500 presidential election observers affiliated with the news website Leviathan, created by Alexei Navalny’s Anti-Corruption Foundation. Navalny has written about the incident on his Telegram channel. “We were suddenly told today that [Leviathan] had been shut down by the court, and the CEC would not accredit it. Earlier we have received accreditation for 4,500 observers affiliated with Leviathan. Now they are left without accreditation. Even [Vladimir] Churov [the previous CEC chair, replaced in 2016 by Ella Pamfilova] didn’t do such things,” wrote Navalny. In addition, the CEC has refused accrediate observers affiliated with the online publication Molniya (“Lightning”), which sponsors election observers from the Golos Movement for the Defense of Voters’ Rights. Golos co-chair Grigory Melkonyants confirmed to Mediazona there were problems with accrediting election observers registered by Molniya. He said that 850 people who had signed contracts with Molniya in October 2017 were at issue. Molniya submitted accreditation applications to the CEC two weeks ago. The CEC informed them that it had sent them a written reply by post. Melkonyants said that in the the past the CEC would always simply invite Golos to come to its offices and pick up the accreditation papers. Now, on the contrary, the commission’s decision is unknown: they would have to wait for the letter to arrive. Melkonyants believes this testifies to the likelihood the Molniya observers will have their accreditation requests rejected. However, he noted it was still possible to register as an observer affiliated with a particular candidate, and Golos was now working on this. This Sunday, September 18, the country will vote for a new State Duma, the seventh since the fall of the Soviet Union. The peculiarity of this vote is that it will take place under a mixed electoral system for the first time since 2003. 225 MPs will be elected to five-year tears from party lists, while the other 225 MPs will be elected from single-mandate districts. Several days before the elections, The Village met with Yekaterina Schulmann, a political scientist and senior lecturer at the Russian Presidential Academy of National Economy and Public Administration (RANEPA). We talked with her about why you should vote if United Russia is going to win in any case, as well as about the changes in store for the Russian political system in the coming years. The Village: On Sunday, the country will hold the first elections to the State Duma since 2011. The social climate in the city and the country as a whole has changed completely since that time. Protests erupted in 2011, and the people who protested on Bolotnaya Square and Sakharov Avenue believed they could impact the political situation. Nowadays, few people have held on to such hopes. What should we expect from the upcoming elections? And why should we bother with them? Yekaterina Schulmann: Everything happening now with the State Duma election is a consequence of the 2011–2012 protests, including changes in the laws, the introduction of the mixed system, the return of single-mandate MPs, the lowering of the threshold for parties to be seated in the Duma from seven to five percent, and the increased number of parties on the ballot. These are the political reforms outlined by then-president Dmitry Medvedev as a response to the events of December 2011. Later, we got a new head of state, but it was already impossible to take back these promises. The entire political reality we observe now has grown to one degree or another out of the 2011–2012 protest campaign, whether as rejection, reaction or consequence. It is the most important thing to happen in the Russian political arena in recent years. The most inappropriate reaction to these so-called elections is disenchantment with their outcome. Was anyone really enchanted by them? I can understand the pessimism of moderate liberals, for whom the procedure of voting is democracy’s alpha and omega, but a “constitutional change of power” is the ultimate political daydream. Even smart liberals must realize the Duma is not a parliament, and Russia is not a republic. What, then, are we to make of elections to a body that does not form the cabinet, cannot impeach the president, and, most important, gave up any pretensions to power long ago? What is demonstrated by so-called elections to a body in whose necessity over forty percent of respondents have doubts, according to opinion polls? What does it mean when people vote for parties that in their vast majority are flimflam organizations imitating political pluralism? Nothing sounded more out of tune in the opposition’s rhetoric of recent months than the campaign slogans of liberals, hoping to cross the five-percent threshold, about effecting a “change of power” by dropping a ballot into a ballot box. Perhaps the statement made by Ella Pamfilova, chair of the Russian Central Electoral Commission, that she was “really, really sorry” not a single non-parliamentary party made it into the Duma, reflects not only her own opinion but also that of her bosses. A few rebellious voices would not have harmed a body one of its former speakers infamously dubbed “not a place for discussion.” They would have made the bureaucracy’s imitation of democracy slightly more believable. But let us get back to the question of what these so-called elections show us. Maybe, at least, they are a cross section of public opinion, a sincere manifestation of confidence in the regime or, as the opposition is fond of claiming, an index of the populace’s “zombification”? No, they are none of these things, and that, perhaps, is the most troubling news for the ruling elite. If, after several years of severe economic crisis, and amidst a record-low turnout, a party headed by an unpopular prime minister garners even more votes than it did in 2011, it means that elections to the Duma have finally shed their remaining links with any known social reality. It would be more soothing for the Kremlin if the votes had been divvied up more evenly among the four pro-regime parties. That would have been a sign of confidence in the political system. If Russians had sought an alternative within the current system by voting for the Communists or any other pro-Kremlin party that would have told us that faith in the Putin regime is indeed strong. But people who vote for United Russia in 2016 are not voting for the government’s policies, the annexation of Crimea or even Putin. They vote not because they expect the elections will change things for the better, and not because they are blinded by propaganda or are especially fond of government officials. They fear a change for the worse and take part in a pre-programmed ritual, thus hoping to prevent the collapse of their usual lives. In its own way, this choice is rational, although it smacks of pessimism and conservatism. People are clinging with all their might to a crumbling stability. But what will happen when there is nothing more to cling to? Some of the voters who did not go to the polls could have been guided by similar motives. It would be wrong to interpret high absenteeism unambiguously as passive protest. The majority realizes nothing actually depends on Duma elections. Superstitiously, involuntarily or habitually, some partake in this ritual exorcism of hardship and troubles. Others fail to partake in the ritual out of laziness, apathy or contempt. Only an indoctrinated minority literally believes in the campaign slogans. So the only information the powers that be and we can extract from the election results is that the country is not in the midst of a revolution, and the supplies of public apathy on which the system depends have not run out yet. But as a tool of political leverage, a reflection of the confidence the masses have in the ruling class, and even as a means of studying public opinion, the Duma elections have shown their uselessness. Like routine vote rigging, their outcome is an indication of Putinism’s degradation as a political system rather than its stability. 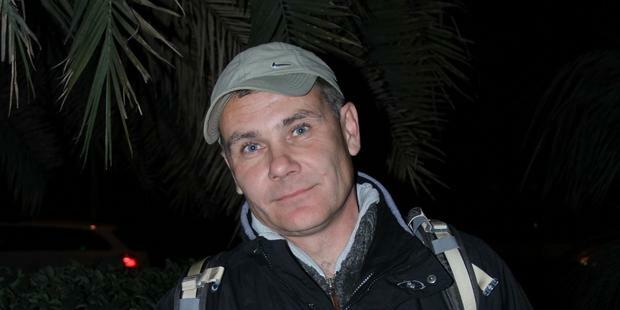 The condition of environmentalist Yevgeny Vitishko, who is on a hunger strike, is critical. Yevgeny Vitiskho has been on hunger strike for seventeen days in Penal Settlement No. 2 in the Tambov Region’s Kirsanov District. His kidneys hurt and he is suffering from dizziness and low blood pressure. And yet the wardens have not exempted him from hard physical labor. Several hours before he was to be paroled, the prosecutor’s office changed its position, and so the environmentalist launched his protest. Vitishko was supposed to be released on November 21. The Kirsanov District Court had decided to mitigate his punishment by changing imprisonment to limited freedom. Vitishko was supposed to go home and register with the police. The breakthrough in the case came after Mikhail Fedotov, chair of the Presidential Council on Human Rights and Russia’s human rights ombudsman Ella Pamfilova had communicated personally to President Putin about Vitishko’s imprisonment. At the court hearing, a spokesman for the penal settlement where Vitishko has been serving his sentence, and the district prosecutor’s office petitioned the court for the environmentalist’s release. But right before the scheduled release, on the evening of November 20, the very same prosecutor’s office sent the court an appeal asking it to overturn its decision. The alleged reason for the appeal was that prosecutors were unclear as to where Vitishko had to register, in his hometown of Tuapse or in Slavyansk-on-Kuban, where he has not lived for almost twenty years. The court will examine this appeal on December 22. Kuban environmentalists Yevgeny Vitiskho and Suren Gazaryan were sentenced to three years of probation under Article 167 of the Russian Federal Criminal Code (“destruction of other people’s property”). Tuapse District Court Judge Galina Avdzhi ruled the men were guilty of ruining the fence around an elite residence in the village of Bzhid on the Black Sea coast. The fence illegally enclosed a considerable section of public forest, but when the environmentalists filed a complaint with law enforcement authorities, the authorities pointedly ignored the violations. The residence has been linked to Alexander Tkachyov, former governor of Krasnodar Territory and current federal minister of agriculture. Before the Sochi Olympics, Suren Gazaryan was forced to flee to Estonia, where he received political asylum, while Yevgeny Vitishko’s probation sentence was changed to imprisonment. 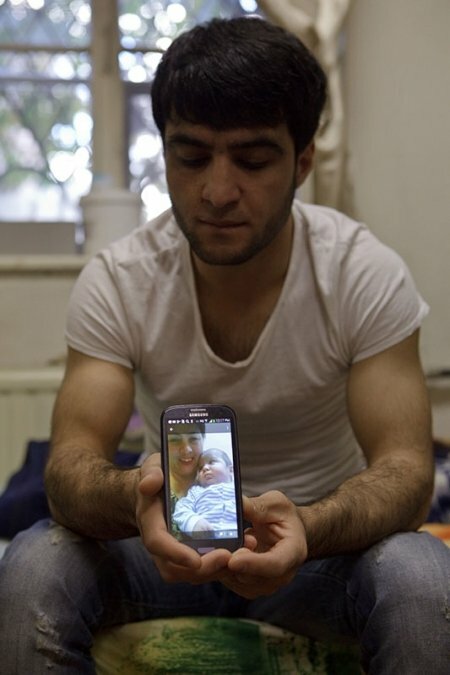 When a Tajik family was in the process of being expelled from Petersburg, their baby son was taken from its mother. Umarali Nazarov (born May 20, 2015) spent almost five hours at a police station [on October 13, 2015]. He was in the hands of strangers, and deprived of food and warm clothes. No one was allowed to dress or feed the baby. He screamed and cried. The baby was then taken to hospital, where he died the same night. The causes of death are still unknown. The Investigative Committee opened a criminal case only a week later. Federal Children’s Ombudsman Pavel Astakhov, Petersburg Governor Georgy Poltavchenko, and the Tajikistan Embassy in Russia have promised to monitor the investigation. FMS officers raided the flat rented by the Nazarovs at Lermontov Prospect, 5, at around ten in the morning on October 13. 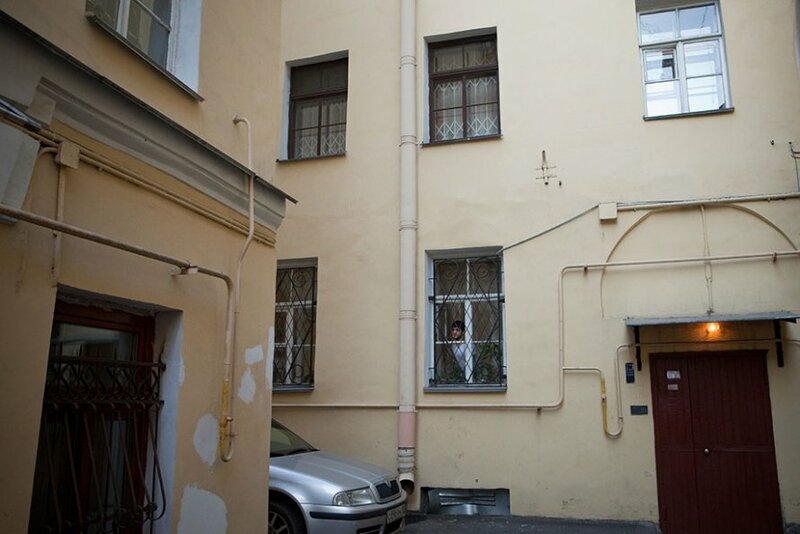 The head of the family, Mehriniso Nazarova, the mother of five children (ranging in age from seven to twenty-seven), had already accompanied her youngest son, a first former, to school and had gone to work: she washes dishes at a café near the house. Nazarova’s 17-year-old son Daler and 21-year-old daughter-in-law Zarina were at the flat with Umar. Zarina’s husband, 25-year-old Rustam Nazarov, works at a construction site and was also not nearby when the FMS paid its visit. Zarina does not speak Russian at all. Her account of what happened is translated by her mother-in-law. Around 2:30 p.m., according to Nazarova, an ambulance arrived at the police station, and the police handed the baby over to medics. Zarina and Daler were delivered to court around 3 p.m. They were tried by 9 p.m. Each was fined 5,000 rubles and ordered to leave Russia in fifteen days. As soon as they left the court, the Nazarovs rushed to the police station to find out where the child was. They were told he was at Tsimbalin Children’s Hospital and to pick him up the next day. The parents did not accept this and said they were coming right away. “It’s already late, they won’t let you in,” the police objected. The family was at the hospital within half an hour. But they were too late: the baby had already been transported to the morgue. Nazarov went there. At the morgue, however, he was not shown the child. Nazarov began going to the morgue every day. It was only on the fourth day, after the autopsy, that he was able to take a look at his son. “I didn’t even recognize him,” admits Nazarov. As the FMS Petersburg and Leningrad Region Office explained to Novaya Gazeta, the raid had been routine. At the request of the district administration, several addresses were checked that day. District officials had informed the FMS about the Nazarovs. The illegal immigrants were living, allegedly, in a resettled house with no water or electricity. Novaya Gazeta‘s correspondents spent half a day in the two-room flat the Nazarovs rent for 25,000 rubles [approx. 360 euros] a month. The place has water and electricity, and is so warm that all the vent panes in the windows are opened. We saw offices on the first floor of the building, and quite habitable flats on the upper floors. Kazankova insists the FMS officers had an interpreter with them. Zarina did not notice any interpreter. Zarina Yunusova’s papers are really not in order. The young woman arrived in Petersburg from Tajikistan little over a year ago to be treated for infertility. The treatments were successful. The long-awaited Umar was born on May 20, Rustam’s birthday. It was a gift for both the mom and the dad. “According to the law on immigrants [Federal Law No. 115, July 25, 2002], foreign citizens can stay temporarily in Russia without a visa for no longer than ninety days [if they are from countries whose citizens do not require a visa to enter the Russia — RR],” explained Tajik diaspora lawyer Uktam Akhmedov in an interview with Novaya Gazeta. Akhmedov is now defending the Nazarov family in all legal proceedings. “But when the ninety days ran out and legally she should have gone back to Tajikistan, Zarina was pregnant. The doctors did not recommend traveling. Besides, pregnancy is a reasonable excuse for staying. 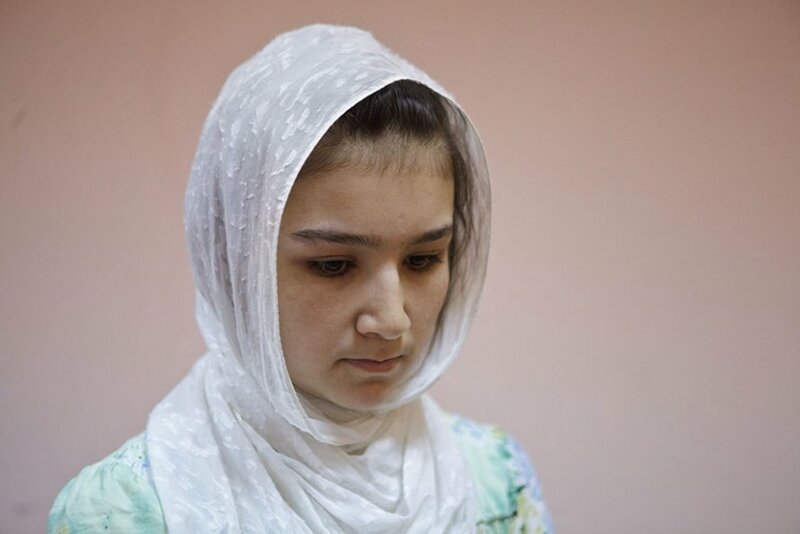 We are going to challenge the court’s decision to expel her,” said Akhmedov. The five-month-old child’s death has shocked the Petersburg Tajik diaspora. Assistant Consul Manouchehr Hamzayev came out to address the protesters. He asked them not to engage in provocations and promised to keep them updated. 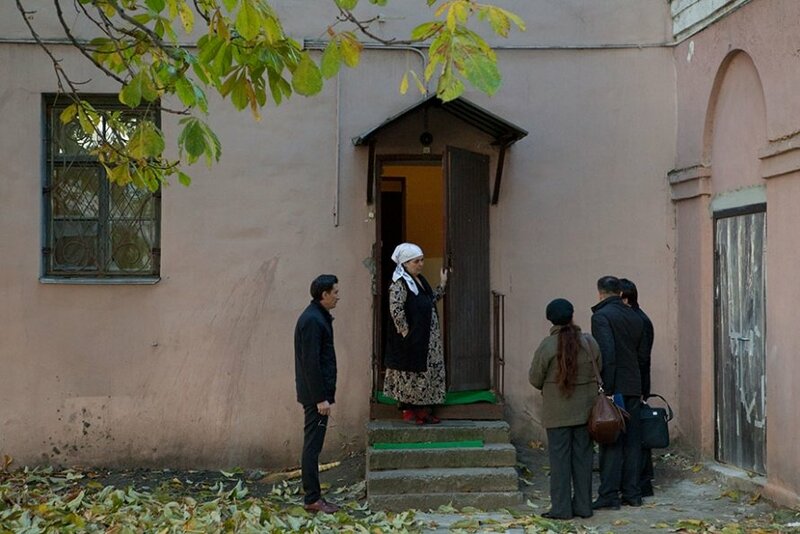 On October 18, the Tajik diaspora sent official appeals to Russian Human Rights Ombudsman Ella Pamfilova and Petersburg Governor Georgy Poltavchenko. On October 20, the Petersburg Office of the Investigative Committe’s Central Investigation Department opened a criminal case under Article 109.2 of the Russian Federal Criminal Code (“Negligent homicide owing to the improper discharge by a person of his professional duties”). Doctors at Tsimbalin Children’s Hospital, where the city prosecutor’s city has been carrying out an inspection since October 20, declined to comment. According to Novaya Gazeta‘s sources, doctors have explained to investigators that the child had many diagnoses [sic], and in addition, he had been born prematurely. The parents do not deny this. Umar had been born in the thirty-fourth week with a weight of 2,2000 grams. But he had been steadily growing and gaining weight. By five months he had weighed about eight kilos. The Nazarovs likewise claim the child had regular visits from the district nurse, and had been examined by doctors at a clinic. They had not referred Umar to any specialists: no serious ailments had been detected. On October 21, the day after the criminal case was opened, the Interior Ministry’s Petersburg and Leningrad Region Office took countermeasures. “Police officers are conducting a preliminary investigation concerning the deceased boy’s parents, in whose actions there is evidence of a crime as stipulated by Article 156 of the Russian Federal Criminal Code (“Failure to discharge the duties of bringing up a minor”),” the regional office of the Investigative Committee’s Central Investigation Department informed Novaya Gazeta. “Why such hatred? Why such hatred?” Rustam repeats like a mantra and waits for a response. Zarina says nothing and cries. Mehriniso is not crying. 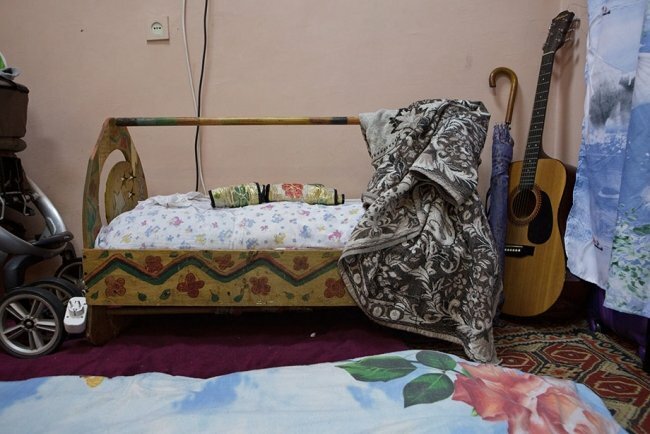 She is sobbing over the cradle, which Rustam built for his son and which she just cannot bear to remove from the room. The Nazarovs have lived in Petersburg for fifteen years. In 2004, persons unknown armed with knives attacked Mehriniso’s 12-year-old-son near their house. He died from stab wounds to the chest and neck. The child’s murder remains unsolved to this day.